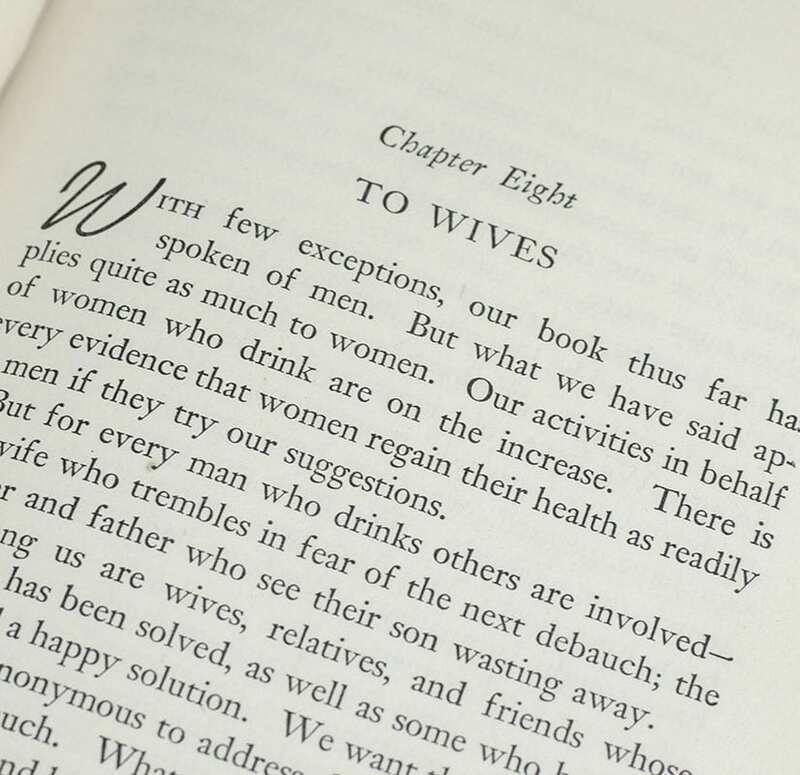 Alcoholics Anonymous: The Story of How Many Thousands of Men and Women Have Recovered from Alcoholism. New York: Alcoholics Anonymous, 1947. 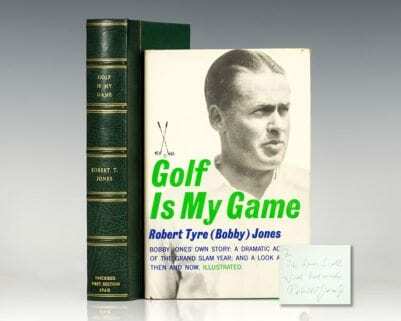 First edition, eleventh printing of Bill Wilson’s classic work, one of the best-selling books of all time, having sold 30 million copies. Octavo, original red cloth. Contemporary inscription to the front free endpaper, near fine in a very good dust jacket. 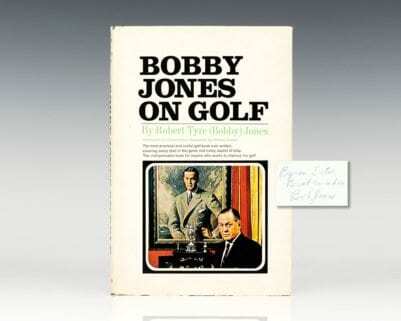 A nice example, uncommon in the original dust jacket. 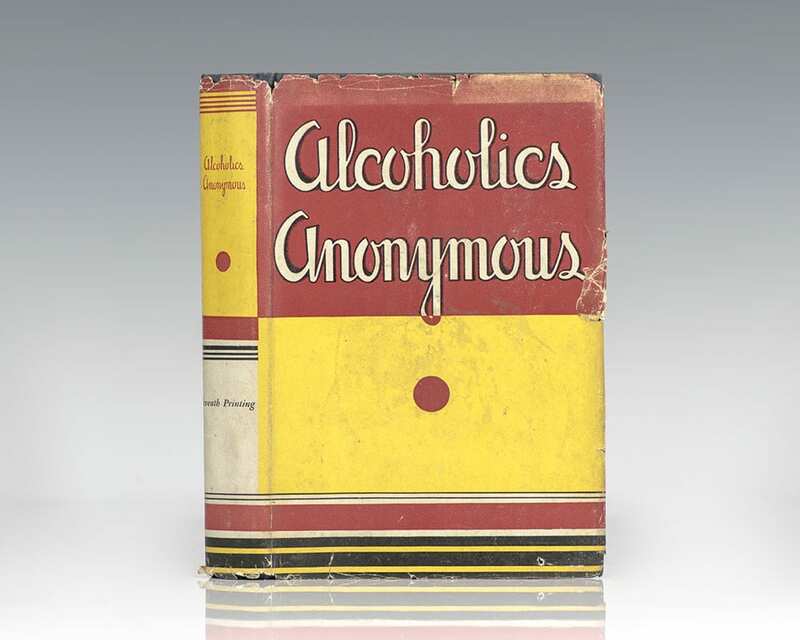 Alcoholics Anonymous "The Big Book" is one of the best-selling books of all time, having sold 30 million copies. In 2011, Time magazine placed the book on its list of the 100 best and most influential books written in English since 1923, the beginning of the magazine. In 2012, the Library of Congress designated it as one of 88 "Books that Shaped America." Alcoholics Anonymous: The Story of How More Than One Hundred Men Have Recovered from Alcoholism. New York: Alcoholics Anonymous World Services Inc, 1955. 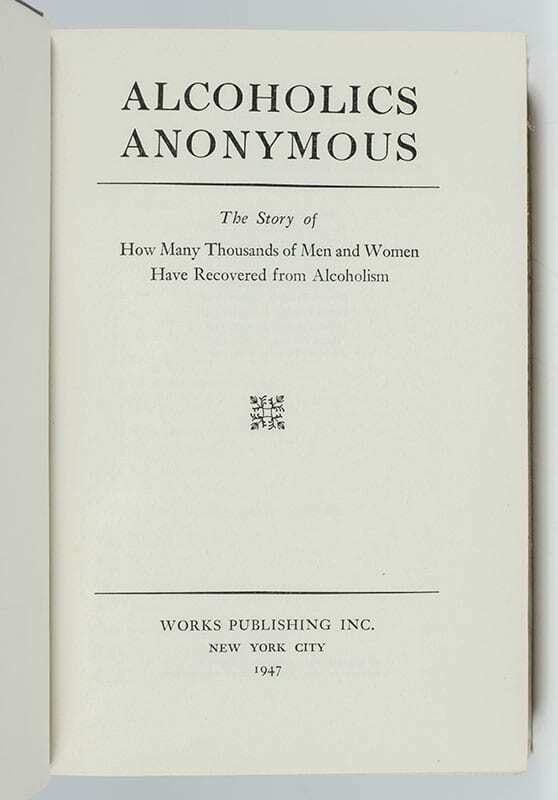 First edition of the revised edition of Alcoholics Anonymous, one of the most influential books of the twentieth century. Octavo, original blue cloth. Presentation copy, warmly inscribed by Bill Wilson on the front free endpaper in the year of publication, “Dear Thornton Please have this Christmas remembrance of your friendship and of your devotion to AA’s grapevine Ever Yours Bill BH Xmas 55.” Very good in a very good dust jacket. An exceptional example, rare and desirable signed and inscribed by Wilson.